The idea for Puppy Cake came when Kelly Costello, owner and founder of Puppy Cake, was looking at a chocolate cake mix advertisement. As she was looking at the cake mix, she said to herself, wouldn't it be great if they made this for dogs? People love their dogs like family. After lots of research and many recipes, Puppy Cake was created! To match the traditional chocolate cake, Puppy Cake Carob Cake Mix was created and to match the traditional yellow cake, Puppy Cake Banana Cake Mix was created. 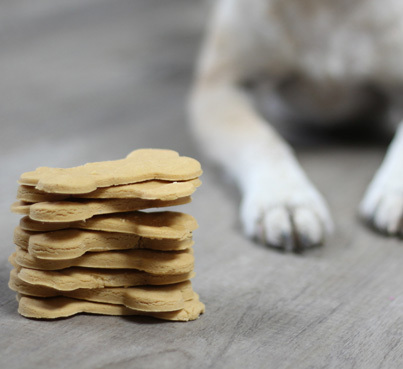 In November 2007, the product launched and quickly became the #1 selling cake mix for dogs in the US. 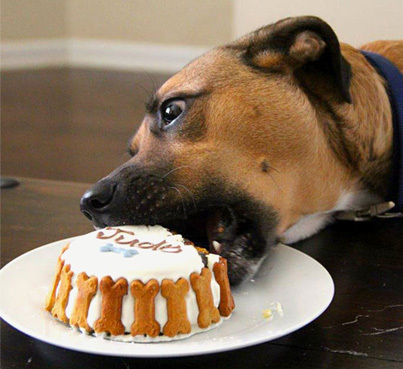 Puppy Cake seeks to provide a healthy and satisfying treat for dogs and a fun experience for their owners. 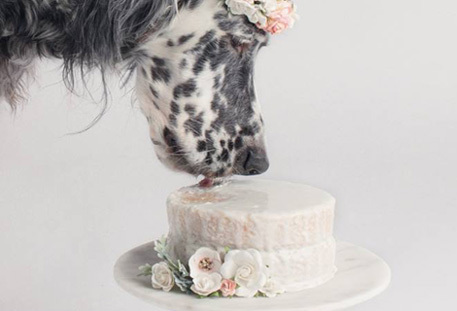 We use only human grade and natural ingredients in our products because we believe that Puppy Cake is held to a higher standard. Customer service is a top priority that we take very seriously. We first want to make sure every customer, from consumer to retailer, has a great experience. We stand behind our product 100% and will work to ensure satisfaction with every transaction. Our company wants to further the well being of canines throughout the US by donating a portion of our profits to animal rescue organizations. I was so happy I stumbled upon this cake mix, I have 4 Siberian huskies and have been looking for pet cake mix for a while. So far I have tried the Ice Cream, Cakes, and the cold treat. So far all three of my dogs like the cake and ice cream. Only two of them like the cold treat. I also have the cookes and cheesecake I'm going to try. The love laying in the kitchen and knowing they get a treat when I'm done. 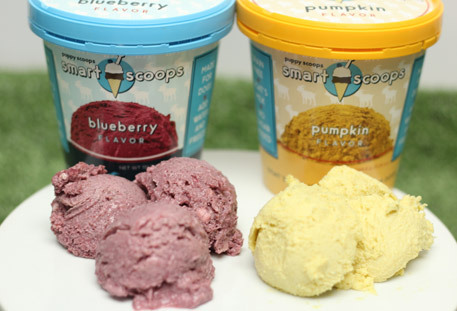 We were lucky enough to be the recipient of the Blueberry and Pumpkin ice cream mixes from your promotional give away. We currently have 4 dogs all four LOVED them. What a great treat on hot days. So happy we found you and have already ordered more ice cream and cakes. Very pleased with your products. 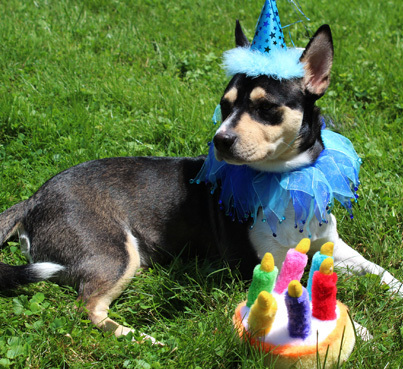 Super easy to make, and way cheaper than buying a dog birthday cake where I’m from! There wasn't enough icing to cover the cake, but it's simple enough to make my own so still worth it! Just made our 1st puppy cake! It turned out fantastic! Super easy and smells yummy! Going to have a super happy pup for his birthday tomorrow! I love ordering from here! I have bought these products elsewhere but buying them from here is the best way. The price is better and shipping is fast. My dogs love everything they've tried-ice cream, cakes, cookies and most recently cheesecake. My dog Zoey is very routine and now expects cheesecake after her dinner...she is whining and stomping her feet for it as I type this! lol Zoey and Stella love it! What a wonderful company full of good wholesome products for your furbaby! I love the selection and my baby, Rambo, did enjoy his first birthday. Thank y'all for making a product that is safe for them too. This dog mom was very happy with it.